I already have the case and the motherboard since I’m buying this build part by part. Where on the part list I can get better parts just to squeeze out a bit more performance. If you have a bit more room then you’d be well off going with a GTX 1050 Ti like this one from EVGA for example, the extra boost in performance would make it worth while! I’m sure by now you’ve already gotten what you want for the build but if there are other parts that you have more room in your budget for just let me know and I’ll help you further! Do not buy this build. A 2gb graphics card will not be a beast for anything. Which is why I also recommended the GTX 1050 Ti card in another reply. This is all about having a gaming rig that’s going to handle 1080p gaming for around ~$500. With all of the crypto mining going on and with the GPU market the way it is today it’s basically impossible to add in a better card while staying within the $500 budget mark. first of all Geforce GTX 1050 TI is a 4gb graphics card and an awesome budget option for 1080p gaming. Is this VR ready? If not, how can I tweak the build? No, it’s not. You’d need a better processor, a better graphics card and 8GB more RAM would help a lot. I currently have a rig and a Vive, I’d suggest at least somewhere along the lines of an $800 PC build if you wanted to be at an entry level for VR. A 6GB 1060 would also be more ideal. If you have a solid ISP and you don’t plan on streaming at the highest quality then yes you’d be able to stream with this rig! em. hey 🙂 just wanted to ask if the pc will handle high settings fortnite 60 fps or pubg on 60 fps thanks. i dont know the power of the set . Fortnite would be better at running a constant 60 FPS with a tweaked high setting while PUBG would be best for a solid 60 FPS at a tweaked med/high setting, possibly even lower. Fortnite is very well optimized and you shouldn’t have too many problems with it but PUBG is a lot more demanding. Let me know if I can help with anything else as you’re moving forward with your build! Hi, first of all, I’m impressed by your build! It’s given me some great insights for my own one in the near future. I’ve been reading some of the comments as well and you seem the type of person who responds incredibly well to them. So I’d like to ask you some questions. 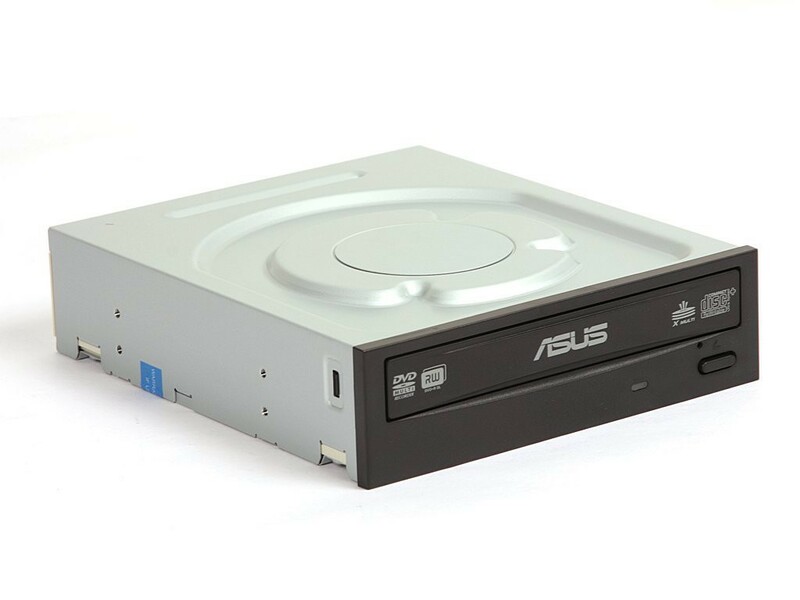 3) Would you prefer an HDD or SSD for new builds overall,or a combo? I’m doubting about going all in with SSD (like 480gb) is this worth it? I’m glad you’re digging the site, I’d be more than happy to share my thoughts. 2) The difference between the 2200G and the 1300X is so minimal that I can’t suggest going with the 1300X. For the bit more that it costs you maybe get 2 more FPS in games so you might as well save the money. 3) The difference in load times is very significant… It’s more of a personal choice. If you don’t think you’ll be using up a bunch of hard drive space right away then maybe a SSD would be a better starting point. You can always add in a HDD down the road whenever you deem it necessary. Hi! This is my first PC build and I was wondering before I buy everything if this will play World of Warcraft? I’ve been playing on my HP pavilion laptop and the lag on there is just unreal. Thanks! For sure Bobby, these specs surpass what is recommended for WoW and you’d be able to play it at higher settings without any lag. You’d be good to go! Let me know if I can help as you’re moving forward with your build, all ears here! Thank you Colton! I will for sure. You’re welcome and sounds good! Sorry I didn’t have the time to watch the video above, but could you tell me if this PC is easy to build, Do we have to screw things in or just put the parts in. How is it built? When you get the time, be sure to check out the video. It goes over in-depth the steps that are required. You’ll have to screw in the motherboard and a few other parts but nothing crazy. If you know how to use a screwdriver properly and you’re able to follow the above instructions and/or other instructions online on putting it together then you’ll be good to go! It’s a pretty outdated processor at this point. It’s still a viable processor for gaming today, but it makes a lot more sense to go with a Ryzen CPU since it’s the newest technology from AMD. I stream on a xbox one x and i just need a computer that can run windows 10, would this be good or should i just buy a $200 laptop that runs windows 10? I’m not familiar with streaming from consoles, James. I’m unsure if you need good hardware behind the process of setting up the stream or not for Xbox. hey, this will be my first gaming rig. few questions. 1. if i can afford another $200 what would you recommend? and how much of a difference and lifetime out of this rig would that get me? 2. why did you go with the amd and not the I3 8100. at only 10bucks more but the benchmarks are much higher. 1. I’d recommend bumping up both the CPU and GPU to another level of power, as far as lifetime it’s not going to be a significant difference in the long haul (still a few years) but it’ll be worth doing for the extra performance. I’d recommend going with a nice GTX 1050 Ti paired with the Ryzen 2400G processor. 2. The benchmarks aren’t much higher. In most cases, the 2200G had a better frame rate by a couple of frames in some of the more popular titles and you will also be able to overclock it if you wanted to, increasing that performance even further. That and this build is already a bit over the $500 budget and that’s the overall goal of these builds – to stay within the desired budget. Hi this is my first build, what should I do about the system fan header and cpu fan if there is only 1 spot to put them? I looked into fan adapters and fan splitters for putting the system fan into the chassis fan spot, but there are no 3 pin to 4 pins, what should I do? It’s fine, Jacob. You’ll use the 3 pin with the 4 pin. The fourth pin is just to be able to control fan speeds, it’ll run at a higher speed at default. It’s not essential to be able to control fan speeds. I do not understand how you can get internet from thise antennas, do you not need some kind of internet hardware card or something like that? After installing a software like windows or Linux do you still need them? 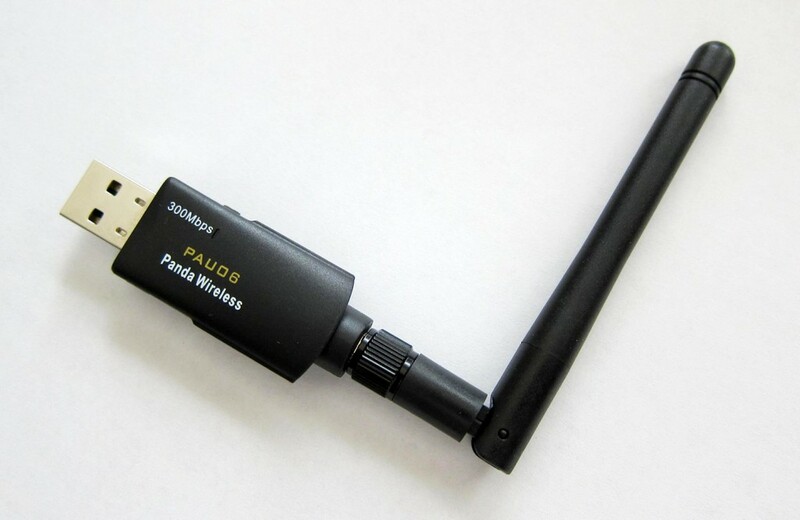 The USB wireless network adapter works great if you’re relatively close to your router. It’s always best to go with a direct connection via the ethernet cable but if wireless is needed, then an adapter like that is essential. There are internal cards you could go with as well, I’d recommend taking a look at this one from TP-Link if you’d rather have an internal wireless network card instead. Drivers can be installed from the related website to the adapter. I am coming from a Mac and this is my first build, I want a cooling system that won’t leave the cp hot enough to burn your finger even from just playing tf2 or euro truck, would i need more fans? I would like to play fortnite, ets2, tf2 and mostly steam games, maybe some gta 4. Would this run it fine? Sorry im really am a doofus when it comes to Pc builds, theres so much things to learn. For sure, these specs surpass most of the recommended requirements for the games you listed. As far as cooling, everything that will come with will do enough to ensure that the PC doesn’t get too hot. It helps if the room that your PC isn’t extremely warm. Im about 14 meters and two walls aways from my router, what do you think? I’d go with the adapter that I linked you then just to be on the safe side. You’re going to want to have the most solid connection possible. Also can i add a msi geforce gtx1050 ti 4gb to the build instead of 2gb? Would it be compatible? Also would i need more fans than what is in the computer already? You’re referring to this exact video card then, right? If so then yes, you’d be able to use it without any issues. No additional fans would be needed either. The price overall is going to change all the time, Seven. The market goes off of the current supply/demand. I plan on updating all of the builds today so there will be a more accurate final price listed but to get the final price as is you’ll have to add all of the above parts to your cart on Amazon to see how much it’s all going to be. The processor is going to be the more important part of the build. I would actually go ahead and check out the $900 build or the $1000 build here on the site. Both of them use processors that are more than enough for digital art programs. Ryzen CPUs were designed with productivity in mind. 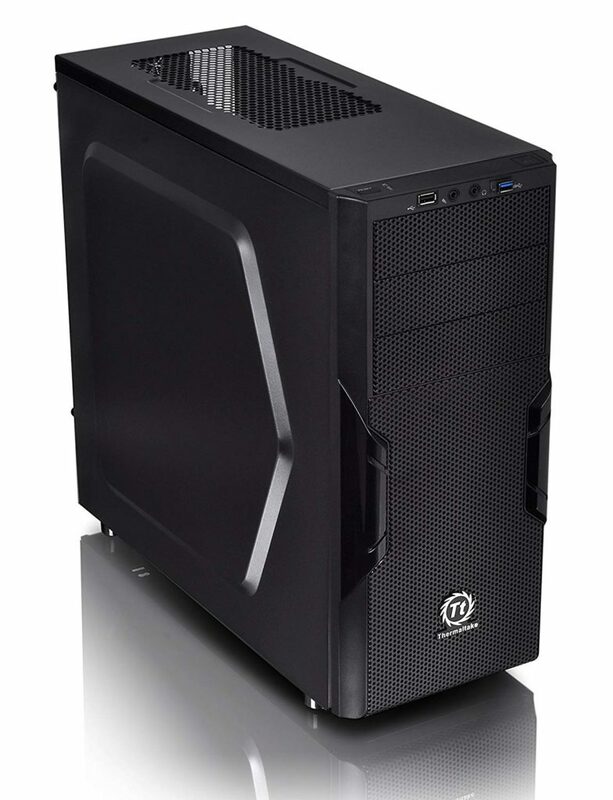 I might consider purchasing a Enermax ECA3520 mod tower case. Would that be compatible with the parts as well? I am not the most informed on Pcs and all of this but feel like this is the right way to go! Is this exact case the case that you’re referring to? If so then yes, that case would be compatible with everything else listed above. Hey, I was looking at a different build, it’s the “Big Things Come In Small Packages”, and I was wondering abouth the difference in the mother-board. The mother board in the other one was the Gigabyte GA-B250M-DS3H, do you think it’d be better or worse than the ASUS Prime you got in this rig? You’d have to give a direct link to which build you’re referring to since I’m not sure what you’re talking about with that build. But comparing the board to the one above, I simply like Asus’s UI and support more than what Gigabyte has to offer. They both offer the same type of socket and what not, just that ASUS is of higher quality in my opinion. 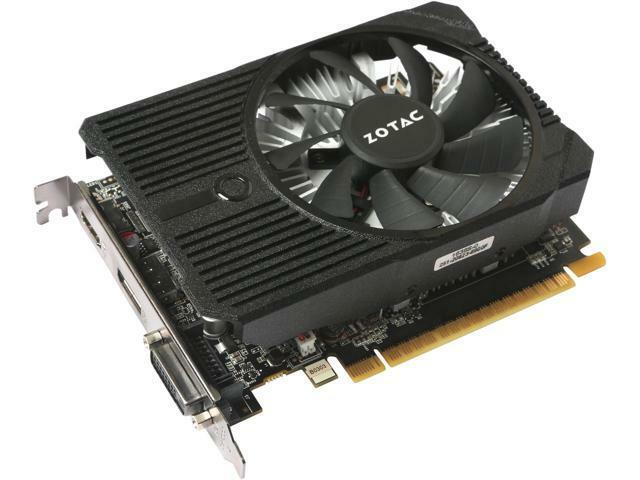 I was also wondering whether or not its okay to get generic graphics cards, for example, i found a GTX 1050 ti on ebay for $80 from a completely generic brand. If it’s a random Chinese company name that isn’t found on a marketplace such as Amazon then I wouldn’t. Especially if it’s being sold for $80… sounds like a scam to me. You should be able to hit an average 60 FPS even on high settings, Zahid. Though tweaking the settings will give a better average overall, a tweaked medium/high setting would be ideal for 60 FPS. Is this PC overkill for just a few games and mainly streaming, watching videos, and doing work? Depends on those few games. Different games have different levels of optimization and minimum spec requirements. This build will handle most of today’s games at 1080p with a tweaked med/high setting. Yes, sometimes the board will already have the update but if not then you can flash the BIOS or get a loaner CPU directly from AMD to update it before finishing the build up. Do I need to buy two singles of Ram? Newegg says that just one is incompatible but I don’t know anything about building computers. Nope, a single stick is just fine. I share using a single stick because it allows you to have more room down the road for adding in more RAM. I saw what you said to Leo and upgraded to the specs you recommended him. Does this run gta 5, cs:go, fallout 4 and other good games. Does it run these games on high quality? Yes! I wouldn’t expect to have 60 FPS all the time with those games at maximum settings though. CS:GO will probably run at 60 FPS avg at max but it’s also a lot less demanding of a game compared to GTA or Fallout. Game optimization is different with every game but overall, this PC would be ideal for tweaked high settings at 1080p for most games. Yes! If you’d rather go with a combo kit like that then you can! It’d be compatible with everything else listed above. Is it okay to get a gpu with a slightly higher clock speed? Sure, which other card(s) do you have your eye on? Some higher level performance cards are going to be too much to where you might bottleneck, that’s why I ask. Let me know! It’s the same GTX 1050, the same one listed on the site. Then yes that’d be fine, didn’t know for sure what you meant with that. 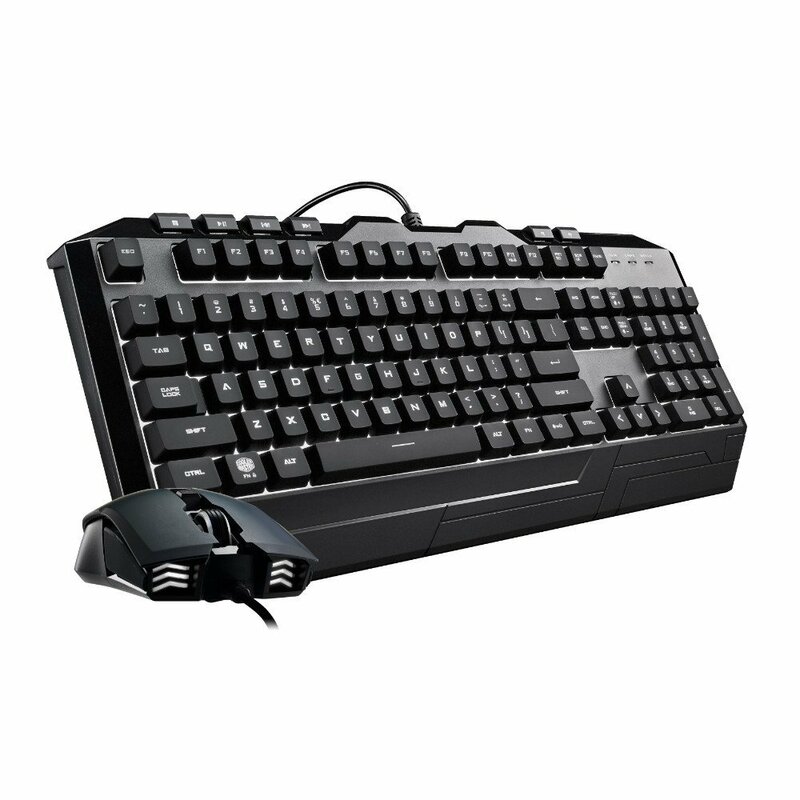 Hoping to build a gaming computer for the first time. Been doing a bit of research and I really like your build! I had a bit more room in my budget, so I used yours as a guide. Still a bit confused on compatibility and all of that. Would the Intel i7 8700K be compatible with all of the other components in your build? And more importantly, do you think the output of performance would be worth the price increase? I was even thinking to hold out a little longer and save some more so that I could upgrade the RAM to 16GB and the hard drive to 2TB. Would that be compatible/be worthwhile in your opinion? The extra TB is only about a ten dollar difference, so I’m more debating if spending another $85 on RAM would be worth it. Considering that, if all of those upgrades are compatible, they would raise the price to $964 (as of today), would you recommend I go with one of your higher priced builds instead of upgrading this one? Maybe the $800 or $900? Sorry I have so many questions, noob builder. More RAM is going to help with multi-tasking more-so than gaming. Yes, you’ll also get a bit of a boost in overall performance but RAM is going to be more important for graphic design programs, rendering programs or multi-tasking a bunch of different programs. That or if you’re interested in VR gaming then 16GB is almost a must-have in my opinion. As for the hard drive space, it’s only worth it if you know you’ll need another TB in the drive. I also suggested a couple of other builds in the other reply, but be sure to check out the $900 build as well. It sounds like it’s closer to what you’re looking for. No, the i7-8700k would not be compatible with the above board because the above board is made for Ryzen CPUs. However, I believe that an upgrade to the video card would be a much better “upgrade” to the build rather than the processor if you planned on having the focus of the rig be on gaming. Have you checked out other builds here on the site? I’d suggest taking a look at the $700 build or the $800 build here and see if they also look ideal for you. Let me know and always here for whatever else as you move forward with your build! Thank you so much for your replies! I’ll definitely look into the builds you suggested. I noticed that most of your builds use Ryzen CPU’s and not Intel, is there a reason for that? I haven’t heard much about Ryzen other than the fact that they are more cost-effective than similar intel CPU’s. But from the research ive done, it seems that most people think intel CPU’s are better for gaming. That’s the main reason I was thinking to go with the intel i7. They’re “slightly” better for gaming, yes. But the difference is pretty small to where you aren’t going to notice it much. You can also overclock all of the Ryzen CPUs to match up to the performance of the Intel processors making it more valuable, especially since it’s more cost-effective like you said. It’s all about trying to stay within the budget range for these builds and Ryzen CPUs help with that. You can definitely go Intel if you want to, I currently use an Intel CPU with my current build but it was also put together with a higher budget. You’ll also need a compatible motherboard for Intel processors. I’m looking into specs for my son’s first build. Not sure what all he’ll use it for, but he’s into Elder Scrolls and such. Anything you’d swap out for those specifically? These exact specs as is will run all of today’s Elder Scrolls titles like a charm. When the new Elder Scrolls title comes out in 1-3 years he may need to upgrade a couple of components in order to run it smoothly but we also can’t know that for sure without knowing the minimum requirements of the newer Elder Scrolls titles. As for Skyrim or Elder Scrolls Online, these specs surpass what is recommended. Did you have to update the BIOS before being able to use the processor? Or did it work right away without needing any updates? Thanks for letting us know how the build went, happy gaming! Through BIOS? Are you trying to use the disc from the motherboard? Check the connections and then check out the manufacturer’s direct drivers if possible. I’ve been looking around at different motherboards, how would this one work with the Ryzen 3 Core. ASUS Prime B350M AMD Ryzen AM4 DDR4 HDMI DVI VGA M.2 uATX B350 Motherboard. It should work just fine with the above CPU, I do see some reviews stating how it needed a BIOS update beforehand. I’m sure that by now they will be pre-updated to work with Ryzen 2000 series. Before I start investing in parts for this build, is there any difference between this Gigabyte 1050 and an EVGA 1050? I like he Gigabyte card better because it’s a little cheaper and the performance isn’t too noticeable. It has a bit of a faster clock speed. I’d say the biggest difference would be on the software side when it comes to the card itself which again isn’t too big of a deal! I built this computer for my son about a year and a half ago, now he wants an upgrade for Christmas. He mainly plays fortnite (shocking, I know), and wants the best of the best. Any suggestions on what parts I can upgrade to give him a great system? Do you know the exact hardware specs he currently has? That will help a lot with the best choices to have a big difference in performance! I haven’t watched the video yet, so not sure if it’s been covered or not, but I was wondering if doing/making a barebones kit is worth it to get simular computers? I’ve seen some on different websites that are close to $500 builds, $700, $1000, etc. where they send the kit with basics in hardware for gaming and such. also, what is good to look for in hardware and possibly price in case the need to switch for better stuff is needed? do I just look at kit and do some shopping around to see if worth the cost, or if I should find without things to save cost, and/or use primarily as an example of what to look for if putting my own”kit” type thing together? I’m not quite sure if you are referring to other build guides or companies that do pre-built computers, Steve, but the difference between getting a PC done for you and putting your own together is mainly the price you pay for the performance. A $500 pre-built gaming rig isn’t going to have nearly as much power per dollar spent as a $500 build that you do yourself. Sure, you’re paying the extra so that it’s ready to go right away and you might have a bit more support directly from the company. I can see the value in that. I always would rather get the most bang for my buck and doing a build of your own is definitely the way to go in that regard. Always here for whatever as you’re moving forward with your build, there are also a bunch of different pre-built recommendations here on the site, be sure to check those out as well! It’s good enough to run on high for sure, but not with a 144hz monitor. If you went with a 60hz monitor and wanted to play at 60FPS at high then this is the build to go with. If you want 144+ FPS on high with Fortnite then you’ll need to have better overall specs. I have just recently bought a new CPU for my PC the ryzen 5 1600 and I don’t think the stock cooler is working well with the processors I have reapplied thermal paste just in case and it helped a little with my temps but not much. When I’m playing Battlefield 1 at ultra my CPU goes about 64C and when encoding a video it went up to 78C. I was wondering if their was a good cooler that I could upgarde to, preferably an air cooler. I have the exact same case as the one listed in the $500 budget build list with an msi b350m gaming pro motherboard. If you could help me out that would be great. I forgot to mention my CPU is overclock to 3.6 GHz with 1.21 volts … Did not win the silicon lottery this time around. Honestly you shouldn’t have anything to worry about. How come you’re worried about 64C? 78C is still okay as well, encoding a video should be expected to increase temps and as long as you’re not going over 80C by a lot then you’re good to go. If you’re still wanting a new cooler then say the word and I’ll show you some that should lower temps but again, it isn’t anything terrible and to worry about. Especially with the gaming side, 64C is fine. However if crashes are happening then that’s when you’ll really want to look into extra cooling. 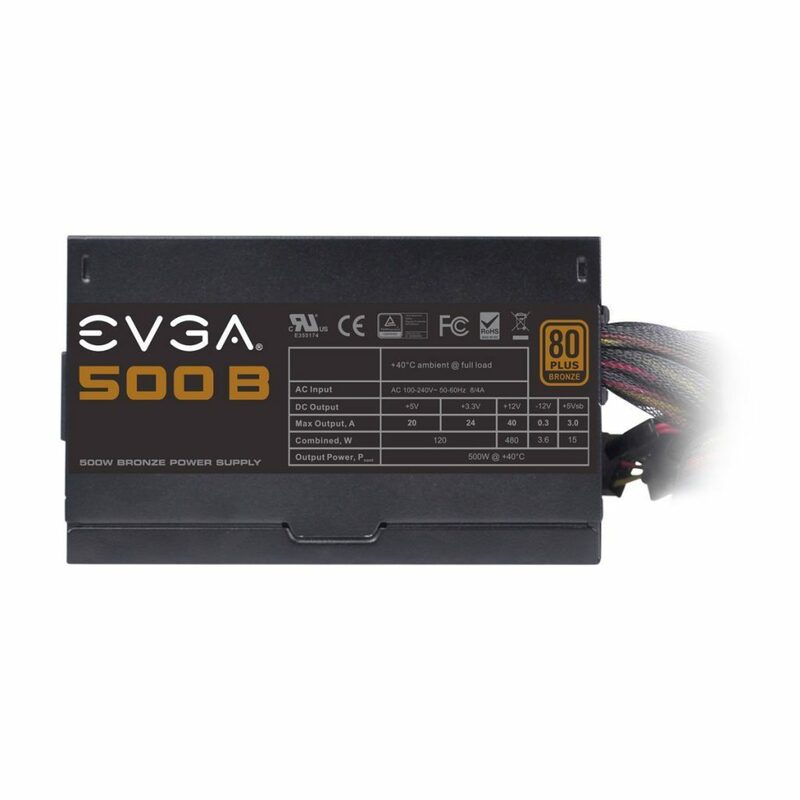 Will EVGA 500 W1, 80+ WHITE 500W, 3 Year Warranty, Power Supply 100-W1-0500-KR, Black https://amzn.to/2LDXrnf work ? Sure! That PSU would work just fine. Let me know if I can help more as you’re moving forward with your build. I’m not sure what’s going on maybe I am being triggered under your guys spam detection but this will be my 3rd attempt to post using another email address. Would it be fine grabbing the 16 GB single stick ram and the 2 TB hard drive with no issues? Also, should I also get a PC/2 or whatever it’s called keyboard or mouse as I plan to install Windows 7 Ultimate as I read it may be needed but I am unsure. I am thinking about getting an additional Hard Drive as a backup, is there a video to help install that and setup? I read the comments over at Amazon that getting the Hard Drive may require me to buy SATA cables is this so? 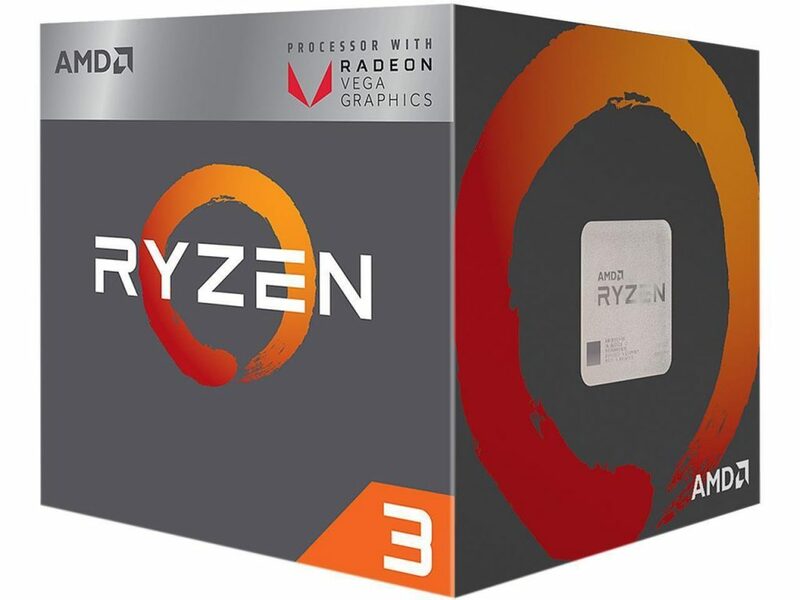 Also can I keep the graphic card and motherboard as is as I want to upgrade to Ryzen 5 1600 https://amzn.to/2M3lb0Z strictly for the 12 thread video encode possibilities. I currently am using a 2.2 Gz Dual-Core PC from 2008 and I am very positive this custom PC owns mine with 3.9 Gz almost doubles what I got but I don’t understand what the “Processor Count” means and would this also count to faster encode video as mine currently takes about 12-20 hours for a 24 minute clip in very slow settings using filters in H.264 and in 720p. Will this help on the new video encode in H.265 in 1080p with tolerable speed as I can’t image how long it’ll take on my PC to encode using that. Last thing, my PC can only play YouTube videos in 480p and lags very much on 720p 60 fps and even worse the higher the resolution. Will this be able to handle that without problems? Sorry for all the questions, this’ll be my second PC. Any help and advice for me if you don’t mind as I am ordering this right now as I re-write this but have not pushed to buy as of yet. I saw a duplicate, I was busy and was not able to reply right away. That’s my bad! Ryzen was created for those types of purposes, it happens to also work ideally for gaming as well. The bump up that you want to go with, the Ryzen 5 1600, is completely compatible with everything else listed here. You’ll see a big boost in encoding time compared to what you’re used to with the old processing power. The video card used with this build is going to be a lot better, especially for viewing videos. You won’t have any worries. It’s made for 1080p gaming so 1080p video playback isn’t going to have any lag issues. As far as using Windows 7, I don’t think you’ll have issues using a USB keyboard/mouse when setting everything up. I’ve always just used USB peripherals even when booting up with Windows 7. Also, there will be enough SATA cables to where you shouldn’t have to buy extra unless you plan on having more than two hard drives that’ll use them up. Always here for whatever else, I was out of town and away from the site for a bit so expect a faster response as you’re moving forward with your build! Thanks for replying had no clue what was going on but thanks for letting me know what was going on. I found out that my Monitor is a Dell S2340M (Analog) https://amzn.to/2M9SLCC but currently using the VGA port (I dunno if it even came with a DVI wire) according to my research it says it’s a DVI-D (Dual Link) type port and looking at it it looks like it on the back of my monitor and wanted to know if I can get a DVI-D (Dual Link) adapter to HDMI of something like so https://amzn.to/2M9SKP4 and I suppose I’d have to buy wires to go with it? Or maybe you could let me know which to get. I’ll be ok with the DVI to DisplayPort also if you don’t mind as I won’t have enough to update my monitor at least this year at least. I found out according to this video https://www.youtube.com/watch?v=o9ImB56BkY8 that I can install the USB 3.0 program within the Windows 7 iso as it seems there’s been issues using the USB. Do you know about this issue if you don’t mind? Thanks for any help once again. I’d say to go with a DVI cable instead. It has a very similar level of picture quality to HDMI, I’ve always used DVI and have compared the two and there’s not any real difference. Check out this DVI cable for example. You’ll be able to use it from the video card to your monitor. There will be USB 2.0 ports that are usable as well, I’ve never had a problem with installing Windows 7 with USB devices. Maybe you’ll have to start with the USB 2.0 ports before being able to use the 3.0 port after installing the OS. I’m curious though, how come you want to use Windows 7? It’s losing support in a couple of years and Windows 10 is awesome. Is it a privacy concern? Thanks for your reply, your help and your time to my many questions. I have hopefully one more question to bug you on, this video here https://www.youtube.com/watch?v=Pr3w9HKuTL8 has me interested in going for the Ryzen 5 2600 2nd generation (which I didn’t know just came out) instead of my aforementioned 1600 1st generation, my question is can I keep everything else the same? I hope so. I’ll get that DVI you linked to. 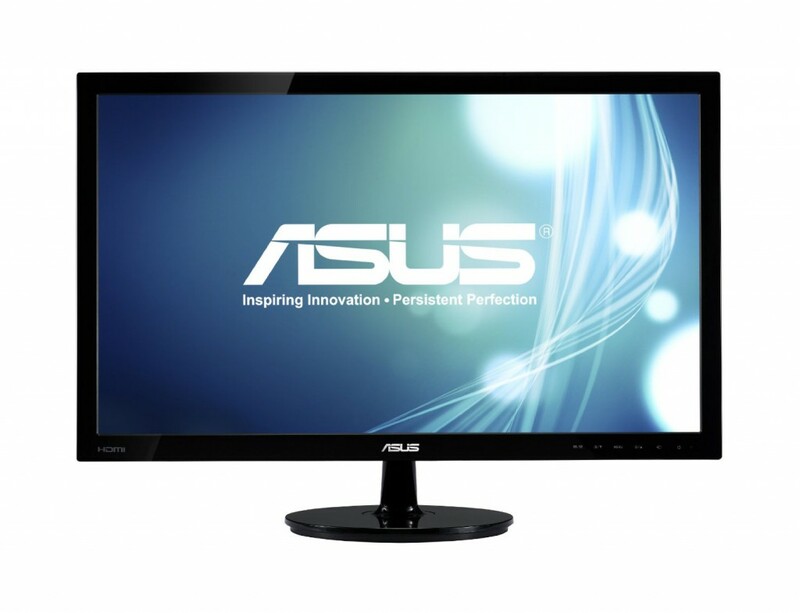 If I upgrade to a higher resolution monitor is that when to think about HDMI / DisplayPort? As for your question, the current PC I have used a Windows Vista 32 bit OEM and it’s been almost 2 years since I upgraded to Windows 7 64 bit Ultimate using the USB install (which I believe used the 2.0 version) as I had no issue with it but had serious issues using the DVD. 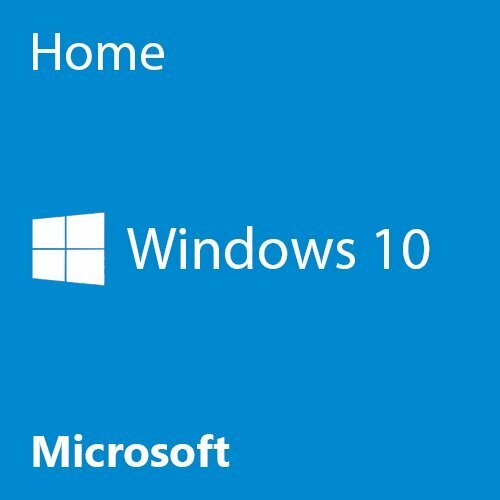 1) Forced Windows Update – This is dreadful to me as I hear others that had trouble getting their system back to work as this will affect me a lot as I tend not to back up my files often especially my video and music which I tag the ID3 tags which take meticulous time to do. The thought of losing all that time is something I don’t want to think about. If I can forever turn it off as I currently do on my Windows 7 (which I haven’t updated in almost a year) the better as I just want it to be like Windows 7. 2) Privacy Issues – On Windows 7 I turned off as many telemetry as I could in my host file and throughout the OS thxs to more tech savy people and it took some time to turn alot of them off. I hear Windows 10 has even more and it can impact the OS itself if they are turned off which is uncalled for. Also, correct me if I am wrong but I could of sworn they put what looks like ads on the OS which would use my bandwidth and force unneeded resources to my PC. I hate ads. 3) Potential game compatibility issues – I’m not interested in what I call “treasure hunting” to get certain games to work on that OS. It’s been a lil struggle doing it on Windows 7 looking for old video codec for example for a recent old visual novel game I have and I read there’s a listing of what games don’t work for the OS. Right, it’d be better to go with the newer gen, hence why I’ve got the 2200G listed above for this build. Though the 2600 would be more ideal for you for what you’re trying to accomplish with the build. In theory, going with a 2600 should work with everything else that is listed above. I’ve read how some motherboards, even though they’re advertised as 2000 ready – like the one above, won’t work right out of the gate with the newer generation CPUs. If this happens, it’s a pretty simple process to get a loaner CPU directly from AMD to get the correct update to the motherboard. I understand your concerns about Windows 10, I was doing a bunch of research when it first came out and I was debating on getting the upgrade due to the same concerns. Windows updates can be switched to where you have to OK them in order to happen now, they let you toggle all of the different privacy options during installation (but who knows how much of that can be trusted) and as far as game compatibility, I have yet to see a game not work correctly on 10. It’s easy the best gaming OS, though I also don’t have any experience trying to play many of today’s titles on Windows 7 which it may well be entirely possible. As far as ads on the OS, I haven’t seen any personally. Some bloatware for sure but they’re easily removed. In the end, it comes down to your personal preference. It’s not like the computer isn’t going to work with Windows 7 and what not. The newer hardware may or may not have some issues but there are always ways around those issues if you really want to go with 7. I only recommend 10 as it’s the newest OS and I personally love it. I’ve gone and purchased all of the items except the graphic card. I’ve been watching this video https://www.youtube.com/watch?v=H0L3OTZ13Os and it’s been really bothering me that potentially Nvidia may still be doing what they doing based on what the researcher there has said. The uploader also has one for Intel and that made me cringe as well which I am glad I went with a Ryzen as my eye has been on them since last year. Would this card be acceptable? https://amzn.to/2OIDrOQ Is it even possible with this build? Your thoughts? Awesome! I remember some of those issues from the past, all companies have their issues and nVidia definitely has made consistent mistakes, I’ll give you that. Uh… I’m back again 😛 what is an ideal upgrade to go for when upgrading this pc with the specs listed above with the build? I’d start with the CPU since most of the GPU upgrades are going to bottleneck with the 2200G. I’d go with a Ryzen 5 2600 processor and then after that you could go with typically any GPU, I’d only go for these upgrades when you’re ready for more FPS and/or higher resolution gaming depending on what you’re going after! I was thinking of going with the GTX 1070 Ti, as I am able to get that (with the idea of higher frame rates) what processer would you go with in this case? You’d want to upgrade a few things if you wanted to go with a GTX 1070 Ti with other things listed above for this build. You’d want to go with at least a Ryzen 2400G processor, though you’d be better off going with something even higher powered such as the Ryzen 5 2600 if you want to be good for the long haul. Also, I’d recommend going with this GTX 1070 Ti from EVGA since it’s available for a decent price point right now. If you actually follow through with these changes then I’d recommend also opting in for a higher wattage power supply. This 600W one from EVGA would do the trick. You can start wherever you’d like really, with my first ever build I bought the parts as I was able to afford them and eventually had everything together in time. The price on the 1070 Ti that I linked you in the last reply is still at a pretty decent price point, I’d definitely go for it! As for the motherboard, you’re referring to this exact board right? If so then yes, you’d be able to use that board along with everything else listed above/that I linked in the other reply. Any other info you need, I’m here for! Everything should be compatible and again make sure you opt for the Ryzen 5 2600 if you are really going to go with a 1070 Ti otherwise bottlenecking issues are bound to come up. Okay, this is going to be my first PC ever built by my own hands. Im a total novice but I’ll give it a go.Hopefully I don’t break anything. One question I have is what are good speakers with this configuration, and another is will this handle games like World of Tanks, World of Warships, or War Thunder? I’ve used these exact speakers from Logitech for a good while now. Although you won’t be able to maximize the volume as it sounds very scratchy, it is still plenty loud at a mid level. I’d recommend them for sure unless you’re trying to have speakers that can be extremely loud. I hope you’re happy! I just used my savings for 4 years on a pc that can’t even open overwatch. I watched the recommendation video twice while building. I edited your comment on that last portion. Rather than lashing out, let’s look at what the problem might be. Have you downloaded and installed the correct video card drivers? Sounds like you have it put together correctly if you’re able to see if it can open up Overwatch or not. Is it lagging or it simply won’t open? What exactly is the problem? Hi I am looking looking to this exact build but wanted to upgrade the video card to the Gigabyte GeForce GTX 1060 WINDFORCE OC 6G (GV-N1060WF2OC-6GD). Would that still work for this build? Is this video card the exact video card that you’re referring to here? If so then yes, you’d be able to use it just fine with everything else listed above. Hi again! thxs for ur help! Was able to get it all working eventually once I got through doing the ridiculous Window 7 setup with the USB 3.0 nonsense which ran into a lot of issues particularly something called a GPT partition which wouldn’t install the OS since the motherboard uses UEFI then trying many attempts till I figured out that I had to download a program called Rufus and not any version but ver 2.10.973 (which I got off a YouTube video) that had the toggle to implement GPT into the Windows 7 iso then had to use the Gigabyte’s program to install the USB 3.0 into the iso which took 6 hours each try which I think I did 5-7 tries I dunno I lost count losing hope each time but it wasn’t working in the USB 3.0 slot till I decided to use the USB 2.0 slot and it worked and installed like there was never an issue! Sorry for the rant the struggle was surreal. Using both the video above and this newer one by the same guy https://www.youtube.com/watch?v=YYsT-i7L5tc was able to put them together being a scary cat that I might static shock the components. The encoding for video is truly something else! The Ryzen 2600 has 18 threads which means a 24 minute clip can take up to 3-4 hours in very slow or placebo settings using H.264 10 bit! I am anxious to test with HEVC. Haven’t tested any mainstream games but the game I am playing is set to max graphic settings without a problem and I haven’t tried OC yet dunno if I wanna. 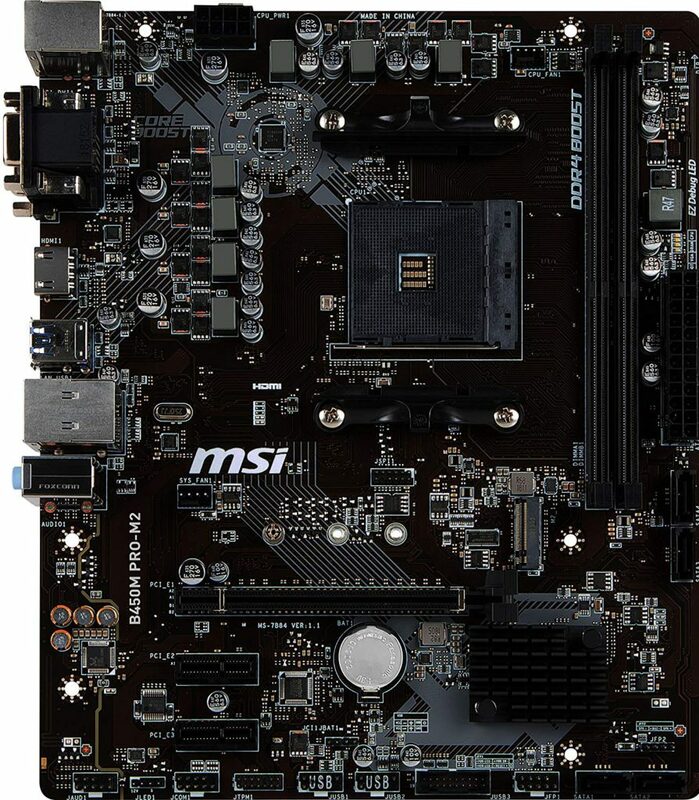 I decided to replace the motherboard from the above to a MSI B350M Gaming Pro https://amzn.to/2BBJMJx from my local Fry’s Electronics not only saving a few $ but I was told by a sales rep that it’s a better then the above? You think so too? 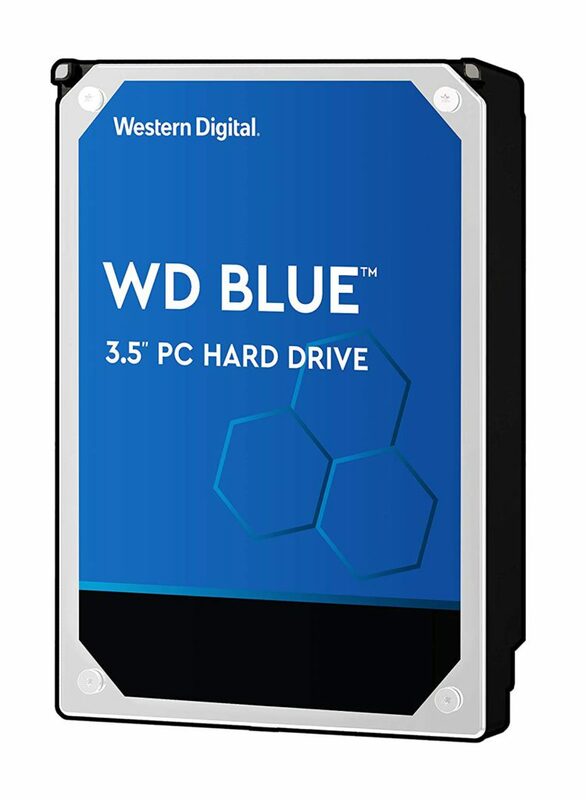 I am thinking about getting an additional 2 TB Hard Drive for backup and extra storage but wanted to know can I just install it without any issues? Or do I have to do something? Also, I didn’t read the motherboard instructions well and installed both the HD and Asus CD Drive in SATA 3 and 4 ports. Wanted to know if I do buy the additional HD should I switch the main HD to SATA 1? Will it cause any issues? If so can I put the additional HD into SATA 1 and it’ll choose the main HD in SATA 3 port? It should also be noted that the Asus CD Drive above is behind a Amazon Prime pay wall as I couldn’t get it till I got the subscription trial. Even though it took so long I’m happy to hear that you were able to get Windows 7 to recognize itself as a viable OS. Trial and error is all it takes when it comes to software issues like that. Personally, I don’t think it’s better. Has two less RAM slots and I enjoy the Asus BIOS interface more than a MSI one but that comes down to personal taste. To each their own, you saved some money and it’s going to work well regardless! There aren’t specific SATA ports that you have to use in order to have an extra drive work. As long as you have room for another drive and you have a SATA slot open then you should be good to go for adding in another hard drive. You may have some drivers that you’ll have to install but that’s about it! You can toggle the main HD in the BIOS. Noted… That’s unfortunate but hey at least you were able to get the trial and get most parts faster! I just want to know if it’s ok if I change the psu to an EVGA – BT 450W 80+ from B&H for only $22.49, this is including mail-in rebate. The original price would’ve been $42.49. I just want to make sure if it’s a safe buy. Don’t wanna have to buy different psu if that one doesn’t work. Hey Sadi, it has been a while so let me know if you decided to pull the trigger on that power supply or not. Personally, I haven’t heard great things about going with a BT power supply. It’s a fully wired unit that supposedly doesn’t last nearly as long. Just like a motherboard, you shouldn’t try to cheap out on the PSU. You’d be better off cheaping out on the PC case and/or the hard drive. So no I had not bought anything yet, I’ve actually come up with a different list of parts and just wanted to make sure it’s decent for the price. Also, I will be overclocking the cpu. I did tell my friend that the case will make things more expensive than it should be but he really liked wanted to keep the case. Just to be sure, this exact case is the case that you’re referring to – right? If so then yes, everything you’ve listed will be compatible going forward. Not a bad part list, though you may want to consider going with the 2200G for the newest tech with Ryzen. I’d definitely get the 1060 if it’s still in good condition. $40 for a 1060 is an absolute steal! Is there ever a need to get a more expensive motherboard? Pretty sure I’m going to run the ryzen 2600 processor. Eventually I want 16 gigabytes of memory a solid state and platter based hard drive. You can pay more for more RAM slots, a bigger space to work with, additional PCI slots and a better interface while using BIOS and the ability to overclock your CPU. With the above board, you can have up to 64GB of RAM, you can overclock but the reason it’s a little less is because it is smaller. It’ll work fine for what you’re trying to do! For sure, there is more than one video port on the graphics card so you’d be able to set up dual monitors with the right cables. do you think this could run fallout 4 if so what fps do you think? For sure! Fallout 4 is the type of game that runs good or great depending on what’s going on with specs like this PC. I’d expect it to run around 50 FPS average at ultra settings but while somewhere like Diamond City I’d expect an avg 30 FPS on ultra with a lot going on. Hey, its me again, and I have a question on behalf of a friend, if they were to build this pc, is it alright to get a higher watt power supply in case for future upgrades? A higher watt power supply won’t be necessary unless the upgrades go into something like a GTX 1080 with an overclocked, higher end processor. If you plan on upgrading to a GTX 1060 and a bit better of a CPU with no overclocking then 500W will definitely be enough power. But yes, it’d still be alright to go with a higher watt power supply. You can’t have too much wattage, basically. If you have too much wattage it’s pretty much throwing money away at that point so just be sure what parts and what you’re doing with your parts if you wanted more power! Hello, total noob question but how do I make sure the pc is using the graphics card and not the integrated graphics in the processor? When you have a video card inserted correctly then the integrated graphics won’t be able to be used since the card will override the integrated graphics. Nah, it doesn’t really matter which thread though it helps if you’re talking about a specific build different from this one. You’ll have to refresh my memory on which build but I’ll assume you’re wanting to use the 1070 Ti with something like the above build. I’d honestly go at least 600W if you plan on using the 1070 Ti because you’ll also want a processor to match the performance power of the 1070 Ti which will need more wattage on the power supply. Unless you already have the 500W, then as long as it’s a good power supply I’d say go for it. On a side note, do you plan on overclocking? That’s why I asked about overclocking, you shouldn’t run into any major stress issues as long as you don’t overclock.